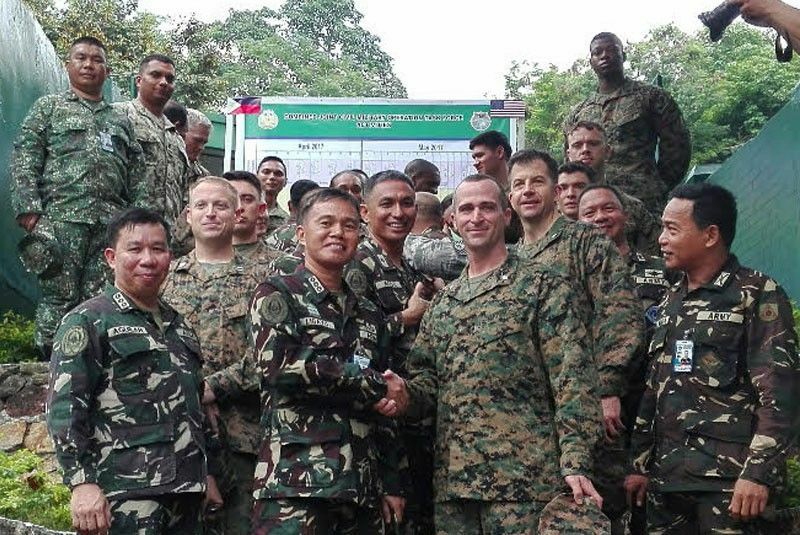 Participants of the joint military exercises between US and Philippine troops pose for a souvenir photo. CEBU, Philippines - The 33rd Balikatan Exercise between the Philippines and the United States of America officially opened yesterday at the headquarters of the Armed Forces of the Philippines (AFP) Central Command in Camp Lapu-Lapu, Apas, Cebu City. The exercise, which would focus on humanitarian and civil assistance to be conducted in the provinces of Panay, Leyte, and Eastern Samar, is expected to run until May 18. “Our activities are more on humanitarians and civil assistance. Meaning, constructing disaster resilient facilities and developing our capabilities, the community capabilities. That’s why we have our cooperative engagement to transfer knowledge and skills on how we should react during emergency situation,s especially strong typhoons,” said Lieutenant Colonel Mendel Aguilar, commander of the Philippine Joint Civil Military Operations task force. The force is expected to build two school buildings each in Panay, Leyte, and Eastern Samar with the use of materials that would make the structures capable to stand against strong typhoons and other calamities. Aguilar said Cebu was not included because the province is better off than those three provinces, specifically in terms of economic stability. Lieutenant Colonel Ryan Scott of the US Marine Corps, on the other hand, said that unlike previous exercises, the Balikatan would not focus on counterterrorism trainings. “We are not focusing on those. We are focusing on humanitarian assistance and disaster reliefs in order to help the AFP in times of calamities,” he said. When asked whether they feel worried about the security in Cebu, he said they were very confident for their safety.